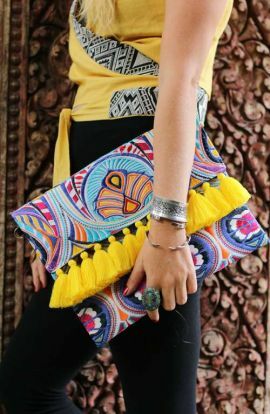 Lioness Collection There are 27 products. 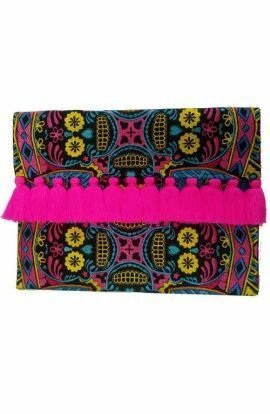 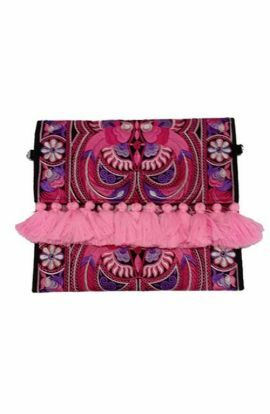 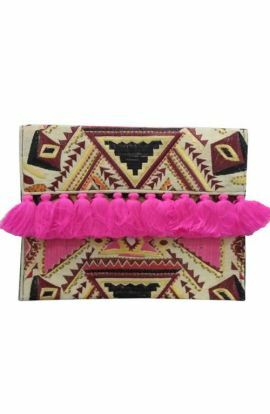 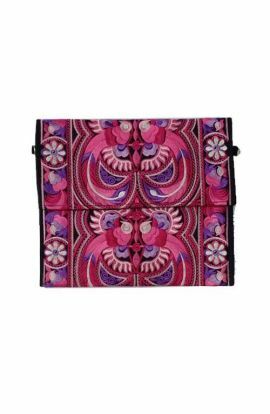 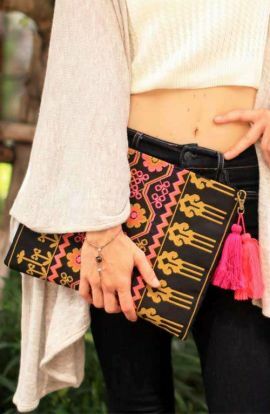 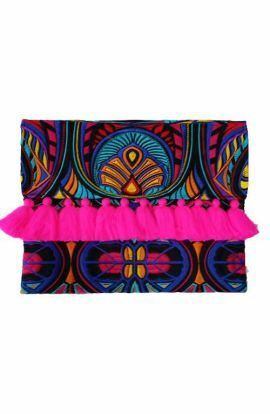 A beautiful handmade tassel bag with spiral inspired textile and pink tassels Length - 10"Width - 9"
A boho chic style oversized clutch bag handmade with embroidered textile. 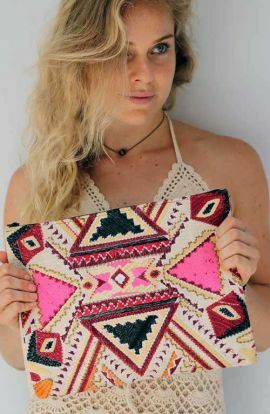 This large boho bag is the perfect clutch purse for everyday use. 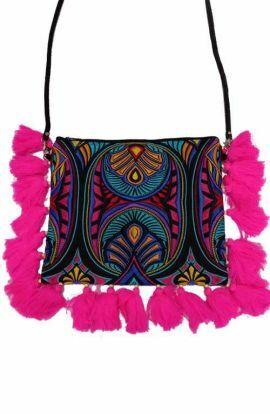 Height: 10"Length: 13"
A beautiful handmade Crossbody bag with wave-inspired textile and blue tassels. 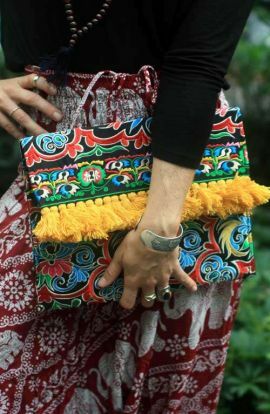 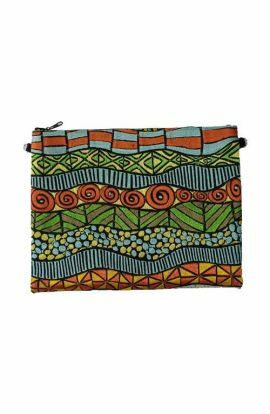 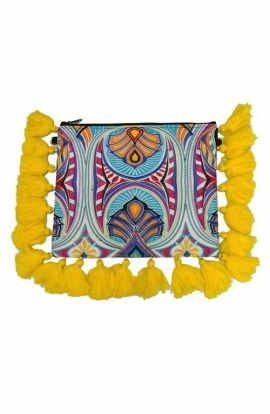 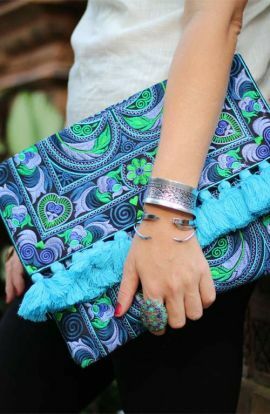 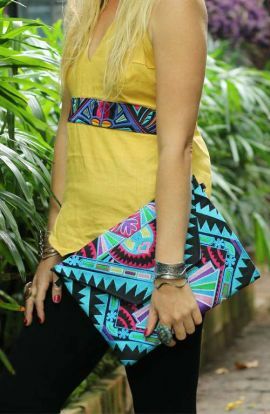 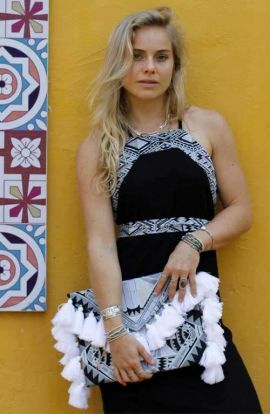 This boho purse has a removable strap and can be used as a clutch purse. 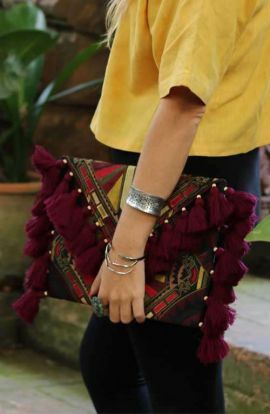 Length - 11"Width - 9"Removable Suede Strap - 50"